It’s easy to become overwhelmed by all the credit repair advertisements online and on TV for services that are guaranteed. Get your credit repaired for cheap, wipe out all your negative files forever, and many other wild claims might easily grab your attention. Unfortunately this is just one of the tactics used by credit repair scams looking to take your money without providing much help. The Federal Trade Commission recognizes that these scams are a big problem and many companies target consumers with poor credit ratings. In an effort to avoid being scammed, here are some ways to recognize when credit repair services are not worth your time or money. They want you to pay upfront. According to the FTC, under the Credit Repair Organizations Act a company cannot force you to pay them until they have completed the services they promised. They tell you everything can be fixed. Negative information on your credit report that is true and current will stay on your credit report for a fixed period of time; it is only information that meets certain criteria that may be removed. The company wants you to dispute all your information. If you know you’ve been making late payments for several months or have defaulted on your loans, why would you dispute that this information on your credit report is false? Keep in mind that lenders and creditors keep track of your accounts and could prove that you have indeed defaulted or made late payments. They don’t tell you your rights and how you could fix some of your credit for free. 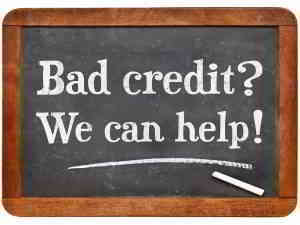 There are many resources online for that offer free credit report tips, including our credit repair section. They suggest setting up a new credit identity. Your credit identity is created using your social security number, these agencies might try to get you to create a “new” identity. Lying on a credit or loan application is a felony and the company who gave you the new identity could be in violation of the Credit Repair Organizations Act. Getting your credit repaired is a great way to improve your credit score and give yourself a better chance at getting approved for a loan. Research credit repair companies before you sign up for them ans don’t hesitate to ask questions! AmOne can help you get connected with trusted and true credit repair services. Contact AmOne today to get a jump start on repairing your credit today!